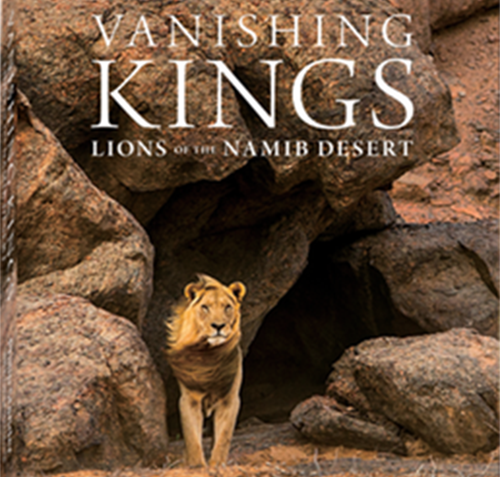 Don’t miss the premiere of the second part of Vanishing Kings by Into Nature Production and the accompanying launch of Dr. Philip Standers book about the desert-adapted lions of the Namib Desert. The last two decades Dr. Philip Stander commitment his life to the desert-adapted lions in the north-west of Namibia. He started to care for them a long time before anyone else did. He has my uttermost respect for his extreme dedication towards the scientific study of the lions and the outstanding role he plays in the conservation of the desert-adapted lions. The lions couldn’t have asked for a better person to champion for their cause. I’m really looking forward to the premier of the movie and especially the book. See you at the Dome in Swakop.